Sony needs money! And what better way to get money than to sell things. First up, Sony is considering whether or not to sell its New York skyscraper. According to The Post, the Japanese electronics giant is supposedly stewing on whether to sell the entire building, which its US headquarters occupies, and move to another location or sell the building and then rent part of it back. The Sony Building is apparently worth between US$700 million and $1 billion. 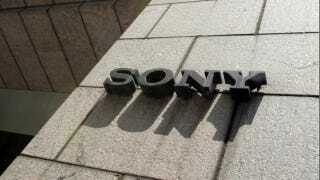 The rumored consideration to sale the building comes as Sony posted record losses.